Broad objective of this lecture is to presentation on Hypovolemic Shock management. Hypothermia may be the Prior to evacuation, casualties must be wrapped in a blanket to avoid heat loss throughout transport (even if the temperature is 120° F) particularly true with air evacuation. Casualties who definitely are hypovolemic quickly become hypothermic. 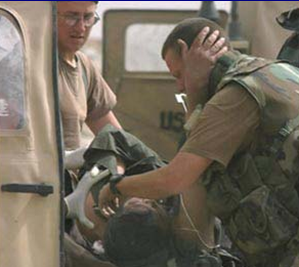 Body temperature below 91° Farrenheit causes the aggresive triad: Hypothermia, Acidosis in addition to Coagulopathy. This lecture focus to identify hypovolemic shock, ensure hemorrhage control first and provide treatment for hypovolemic shock using hypotensive resuscitation principles.